In our 23rd issue, we cover a over century’s worth of great guitar tales. 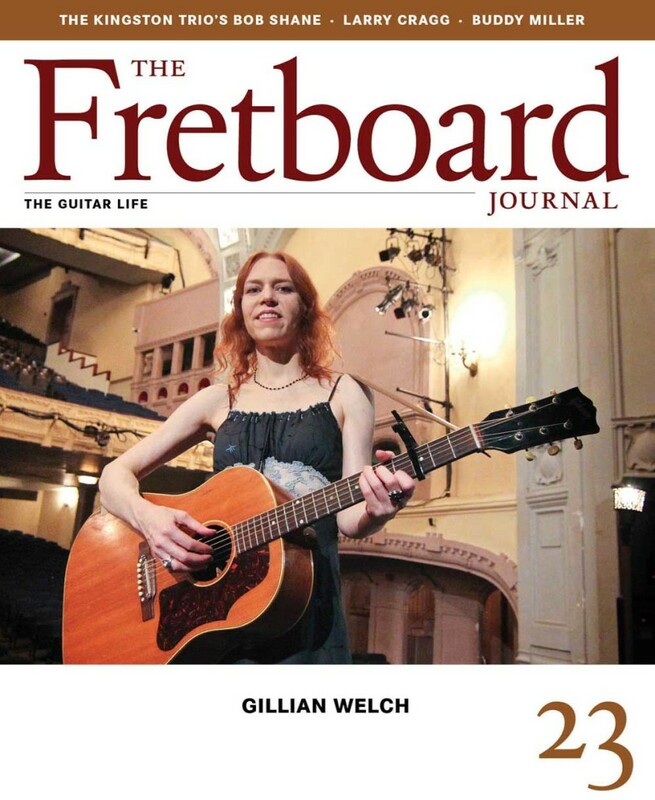 Publisher Jason Verlinde interviews Americana icon Gillian Welch, about songwriting, playing and guitars. Bill Graham tells us the definitive story of Harwood Guitars, the mysterious company that churned out some pretty gorgeous guitars (and mandolins) in the 1890s and 1900s. Brian Fisher interviews Larry Cragg (Neil Young’s guitar tech) about his gear rental business, working with Neil and some of the guitar tweak wizardry he’s known for. Plus: a lengthy interview with guitarist Buddy Miller and a whole lot more. As always, we place a premium of stunning photography and clean layouts in our trademark design. We only accept a limited amount of advertising and we only accept advertising from sponsors we think you’ll appreciate. It’s 128 pages of hype-free, thoughtful journalism for guitar fanatics who still love reading great interviews with the legends, craftspeople and characters who make being a musician so much fun. It’ll be in stores nationwide soon but, by joining our family, you’re helping support this unique magazine in a meaningful way (and you’ll get access to some cool subscriber-only perks). 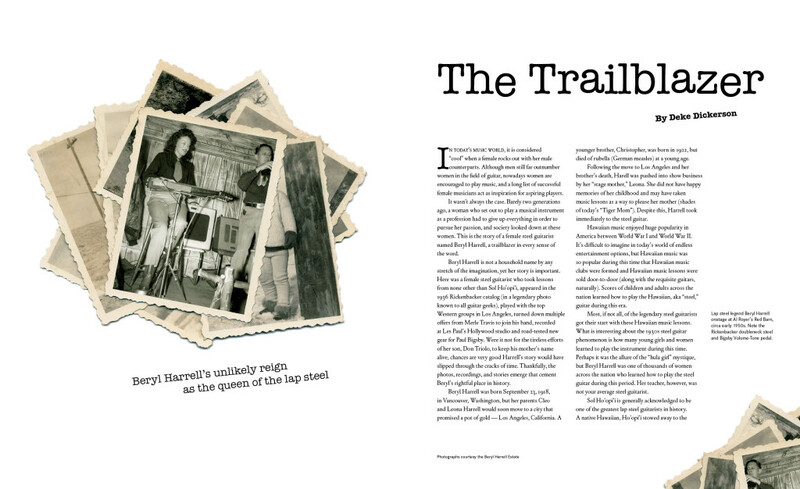 Deke Dickerson chronicles the heartbreaking life of the late Beryl Harrell, a lap steel player whose talent was so great that Merle Travis tried to hire her for his own band. 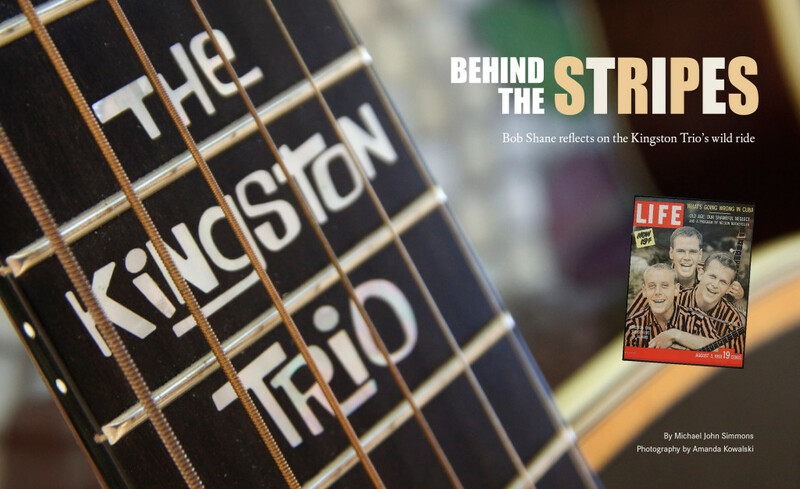 Michael John Simmons interviews the always-entertaining Bob Shane of the Kingston Trio in a lengthy article that covers everything from the origin of “Tom Dooley” to the KT’s wild parties. 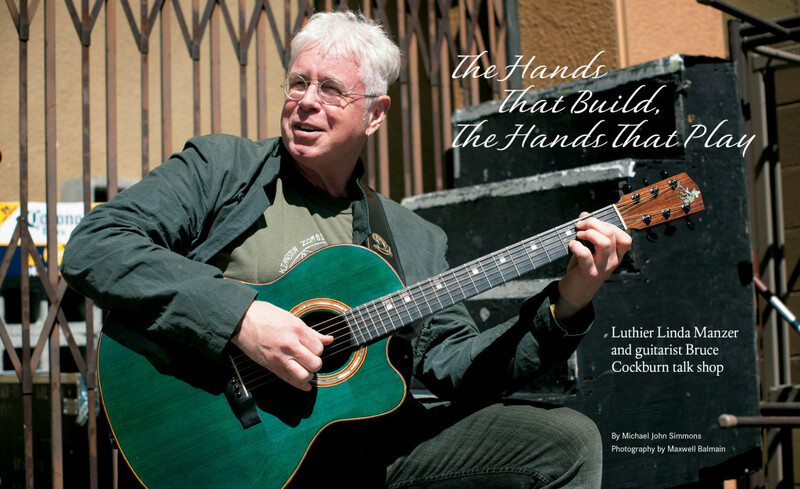 North of the border, Bruce Cockburn and his luthier, the acclaimed Linda Manzer, talk shop about their unique gear collaborations. 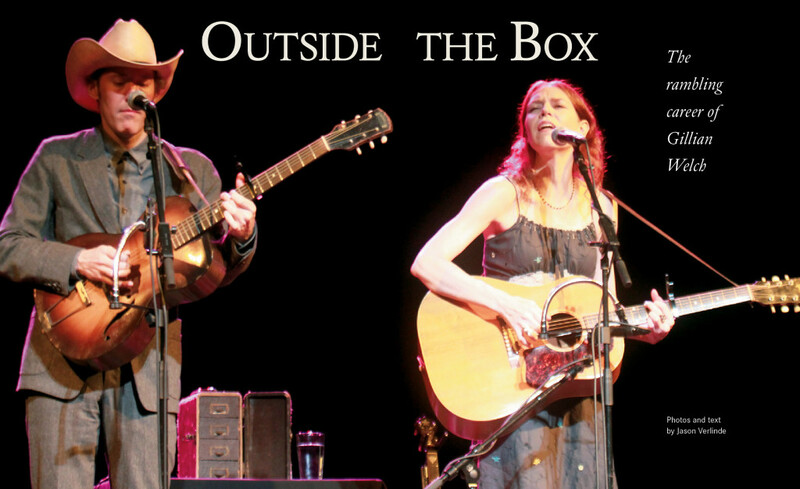 Jason Verlinde caught up with Gillian Welch at the Moore Theater in Seattle, where he cornered her for a candid, wide-ranging conversation.